Cape Town – So the British and Irish Lions tour of South Africa in 2021, a coveted, once-in-a-dozen-years occurrence for the hosting country, is likely to be chopped to a miserly eight matches ostensibly because of fears over the ability of our country to field non-Test teams of sufficient strength to pose a worthy enough challenge. Try to sell me another Rolls-Royce with a dog-tired Tata engine beneath the bonnet … I’m not buying it. This has absolutely everything to do with the protective paranoia and voracious self-interest of clubs north of the equator, cynically prepared to ride roughshod over one of rugby union’s finest traditions, and knowing that they will probably get away with it. If they do, they will be as guilty as the wealthiest modern soccer clubs are, too, in progressively devaluing international football - sometimes even World Cups in that particular sport seem not significantly more than “nice to haves” these days, don’t they? The whole business also smells, pungently, of the way Test cricket is gradually, and in a cocktail of both the subtlest and most brazen of fashions, eroded in importance and majesty as the cash-cow shorter formats tighten their grip remorselessly on the calendar. Reports have surfaced in the UK suggesting – in tones confident enough to detect that casting in stone will be a fait accompli – that the 2021 Lions will play a record low eight matches in South Africa, including the intended three Tests. The spin (an expression that barely existed in bygone eras) being placed on it by nameless “administrators” quoted is that there is concern over the competitiveness – lack thereof, they fear – of South African teams the Lions will encounter outside of the Test roster. We know South African rugby currently has its problems, its challenges, many of them related to the immeasurably greater attractiveness of foreign currencies that lure away more and more of the best names to overseas clubs. But it is also thoroughly disingenuous – correction, it is pure bull-dust – to try to wrap shortened-visit proposals in the suggestion that South Africa (land of twice World Cup-winning teams and still with an immensely strong rugby culture, warts and all) somehow might not generally cut it enough between the white lines to make for a memorable, decent-duration undertaking. No less audacious, and frankly disrespectful, is to make this brazen assumption almost a full four years before the tour takes place anyway. Crikey, is it expected that we will have nose-dived to the rugby level of Portugal by then? Call them “midweek” or “dirt-tracker” games, if you wish, but matches outside of the Tests on a Lions tour have enduring appeal in their own right; they represent once-in-a-lifetime opportunities in many instances for often more unsung players to sample a Lions match and potentially engineer a hallowed jersey swap. Such home-based combatants are well capable of throwing the kitchen sink at the challenge: it was only on the second-last Lions tour of South Africa, in 1997, that the visitors were horribly stretched, for example, in game two by Border – yes, Border, at the Basil Kenyon Stadium – before winning 18-14. It’s all part of the David v Goliath charm, all part of the intriguing process of tour acclimatisation and related issues. At least the media speculation this week does make slightly more pertinent, nearer-to-honest reference to “pressure from the English Premiership clubs, backed by the Rugby Football Union (RFU)” to curtail the Lions tour as a means of easing workload for their investments. But even then, such narrow-mindedness only confirms a cynical disregard for the rich history and what makes Lions tours so great, such a panacea and a point of difference every four years from the monotony – especially in some parts of the rugby planet – of conventional first-class schedules. It’s a bit like crassly suggesting, centuries ago, “hmm, let’s discourage him from painting The Night Watch; it may leave poor old Rembrandt spent”. 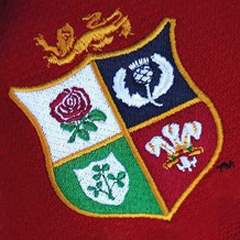 Those who love a Lions tour (and who doesn’t, among passionate and dedicated followers of the game?) would have winced even as the safaris were gradually slashed in tour-length terms, in the period immediately leading up to full professionalism and then as noticeably during it. Of course it is impractical to suggest in a much-changed landscape since then that anything like the itinerary of probably the “Greatest Lions” – now 77-year-old Willie-John McBride’s immortals of 1974 in this country – should be restored. Then, they were on our shores for a blissful (albeit painful in so many ways, too) near three months, playing 22 matches in all and in just about every significant city plus a generous sprinkling of novel backwaters, and truly immersing themselves in the South African psyche and lifestyle – exactly what sports “tours” should do, by classical definition. But the Lions have pretty much fallen prey to a trimming trend ever since. Lions devotees would probably have liked to have thought that 2013 in Australia (nine tour matches, a figure that hearteningly cranked slightly back upward to 10 for New Zealand 2017) was a nadir for tour length. But South Africa supposedly being earmarked for a now-you-see-them-now-you-don’t sort of tally of eight in 2021 smacks of even more dangerous precedent; just more of a threat that Lions tours could succumb to outright extinction, despite the ongoing public yearning. Some will argue that I am out of touch with the “realities” of the professional era. I hope I am not alone in countering, with no lack of indignation and bewilderment, that reality can be grossly over-rated. Certain traditions are worth fighting for. Lions tours are among them. Or do we just meekly accept that the “Lion” is going the way of the rhino?